My Dad recently passed away and while it was sad; he lead a full life and he was 89. I think that was amazing. This post is about my journey in dealing with his death and planning a funeral…. Dad was surrounded by family when he passed away in the hospital. In fact it turned into a mini wake when my Aunt Sue suggested we go to a bar to toast Dad (he left this earth on St.Patrick’s Day). As luck would have it, I happened to have some wine with me and told the family I would be happy to share. 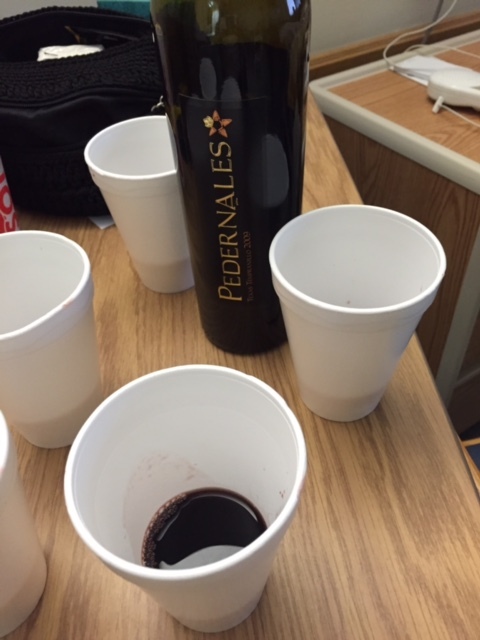 So we got some styrofoam cups from the nurses’ station and opened a 2009 Tempranillo from Pedernales Cellars in the Hill Country Area of Texas. It was wonderful drinking a top-notch Texas wine (even in the wrong “glass”) while sharing memories about a man who was an incredible story-teller and considered himself a Texan before anything else. That night, a neighbor surprised us with BBQ and a big tub of banana pudding. I decided I needed more wine. The idea of planning a funeral and dealing with the estate, was starting to sink in and the stress was starting to build. I chose a cheap ($10) French wine called Black Beret. It is a blend of Grenache & Syrah and was perfect with BBQ and so quaffable! 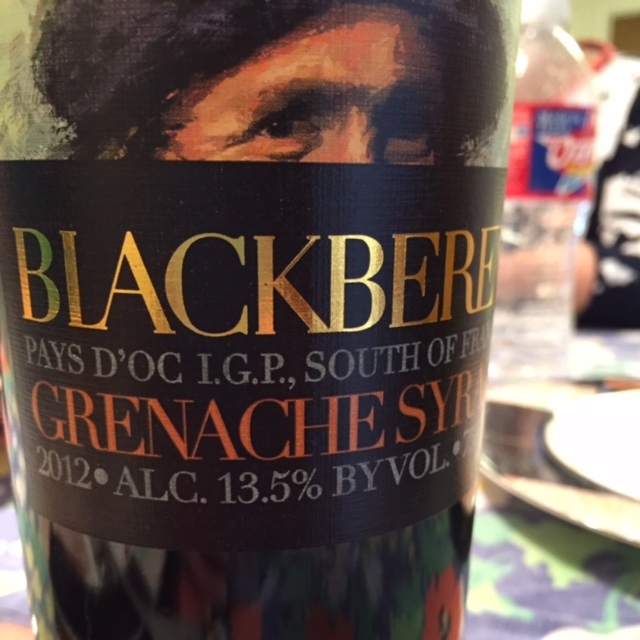 BlackBeret Grenache/Syrah Blend. Cheap & Good. We got through planning the funeral and started the daunting task of dealing with what Dad left behind. Our brains and emotions were fried. A dear family friend invited us to take a break and hang out at his home. We happily accepted the invitation. 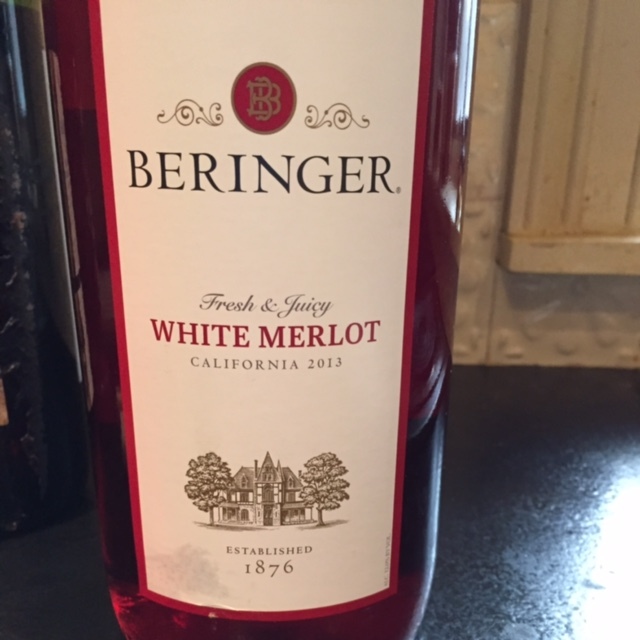 The only wine choice was a big ‘ol bottle of Beringer White Merlot. I wished I had turned the wine into a spritzer. I think it would have cut the “soda pop” sweetness…oh well…I was tired and grateful for the hospitality. I was there for the fellowship, not the wine. It was an awesome evening full of laughter and smiles. It was time for my family to disperse for a few days and get back together for the visitation and funeral. The day I was to hit the road and meet up with the family was not good. I woke up with chills, fever and throwing up. 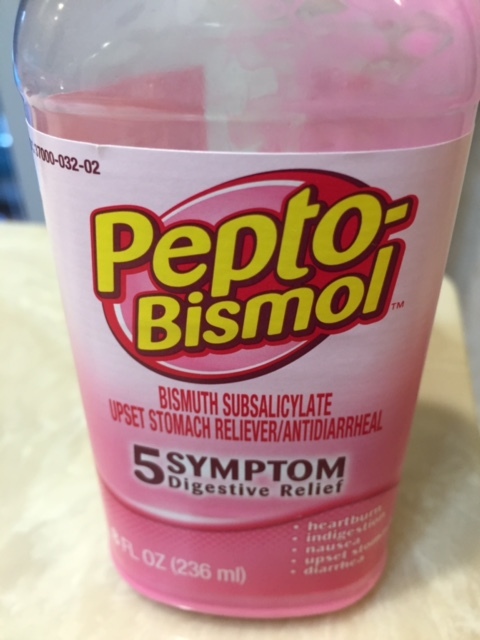 My drink this go round was Pepto Bismol. It tasted like dusty cherries soaked in chalk…yuck! I missed the visitation but made it to the funeral. Dad was buried with his custom Lucchese boots on and I survived. Through all of this, I have been blessed to have 3 incredible women on this journey with me. My two sisters and my Dad’s 2nd wife. After Mom died, Dad was lucky enough to have remarried another awesome lady. So Cheers and Hugs to Briana, Debby & Lou Ann! This entry was posted in 'Community' Wine. Bookmark the permalink. Thank you so much Keely! So sorry for your loss, Lori. My Dad has been gone 13 years, but Mom just passed away in September. Great to find you again … Suess posted on Facebook about this. I’ll definitely be following your blog … big wine drinker here, too! Hugs! I am adjusting to being a “middle-aged orphan” as I’m sure you are too.